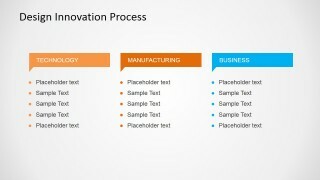 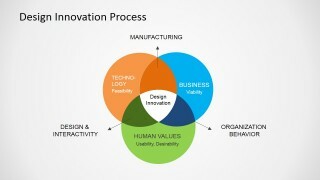 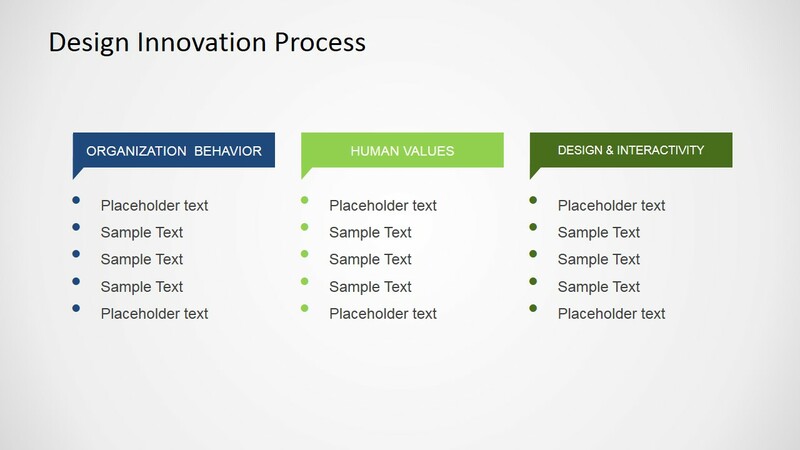 Describe the Innovation Process and the combined efforts of Technology, Business and Human Values though this flat design Innovation Process for PowerPoint. 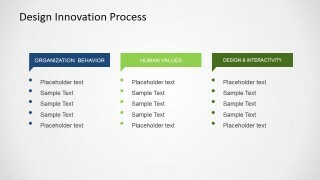 Each of the diagram elements are 100% editable allowing the user to fully customize their appearance. Impress your audience with this Venn Diagram that appeals to executive audiences.